Golf is a sport in which you can achieve some incredible feats and really push yourself to the limits of your ability. In this article, we look at 10 of the most interesting records ever broken in the sport’s rich history, from the fastest round to the longest shot. These records have been taken from the Guinness Book of Records and are standing at the time of publication. Fastest round of golf in a fourball – A fourball comprising Matthew Dalton, Steven Holloway, Landyn Edwards and Michael Ryan, all from New Zealand, completed an 18-hole round in 48 mins and 56 secs at Rotorua Golf Club, Rotorua, New Zealand in November 2017. Fastest round of golf by a team – The fastest round of golf by a team is 13 mins and 42 secs, achieved by Farnham Golf Club members in Surrey in May 2015. The team did include 80 members but still, pretty quick! Longest golf shot – Flight Engineer Mikhail Tyurin from Russia, assisted by Commander Michael Lopez-Alegria of the USA, ­teed-off during a six-hour spacewalk outside the International Space Station in February 2006. NASA estimated that the ball would orbit for three days before burning up in the atmosphere achieving ­a distance of 1.26 million miles. The Russians were a bit more optimistic and put their estimate at 460 million miles! Longest golf course – The longest golf course in the world is the par-72, 8,548 yard Jade Dragon Snow Mountain Golf Club in Lijiang, China. The longest hole on the layout is the 711-yard, par-5 5th. 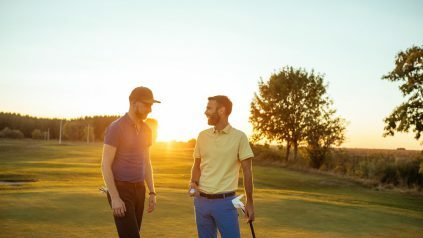 Lowest 18 holes to par in a professional tournament – The lowest golf score below par in a single round of a professional golf tournament is 14-under-par. 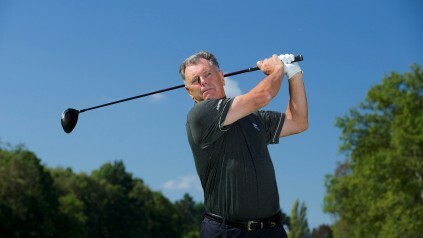 In 2013, Richard Wallis fired a 14-under-par 59 at the PGA Southern Open Championship OOM Pro-Am on the Par 73 course at the Drift Golf Club, East Horsley, Surrey. Wallis carded 10 birdies and 2 eagles during the round. Beating your age – 86-year-old American John Powell beat his age by an incredible 22 shots, carding a 64 at Indian Springs Golf Club in La Quinta, California in June 2017. 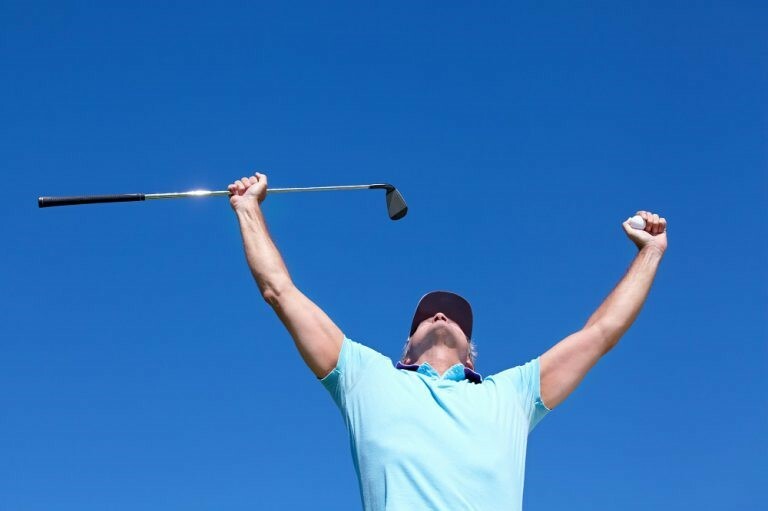 Most holes-in-one in a round – The most holes-in-one in a single round of golf is 3, achieved by Patrick Wills of the USA at the Laurel Hill Golf Club in Lorton, Virginia, USA in June 2015. Seems a bit greedy that! Most golf holes played by an individual walking (in 24 hours) – 35-year-old Ian Colston, played 22 rounds and ﬁve holes (401 holes) at Bendigo GC, Victoria, Australia on 27-28 Nov 1971. Most birdies scored in 12 hours – The most birdies in 12 hours is 93 – a record set by Alexander Sandeman in aid of The Barbados Children’s Trust at the Sandy Lane Golf Club, in St James, Barbados, on 17 March 2015. You may not be able to top any of these incredible records but, as mentioned earlier, golf is a game in which an incredible number of small individual standards can be set. This weekend, have a think about what personal record you might have set after your round. It might be a great achievement like your lowest score, longest drive or fewest number of putts. Alternatively, it might be something along the lines of most balls out-of-bounds, most bunkers found or longest time spent trying to put your trolley together in the car-park. We certainly hope it’s not the latter… Best of luck!